It's easy for me to label different phases of my life by the music I listened to at the time. Sometimes I figure out what the music is after the fact -- when I hear certain songs or artists later on, and BAM I'm in a fit of nostalgia (or a fit of dread and clenched tummy) about a different time and place. Music has a funny, transportive way of making you feel old emotions like you're right back in the moment. A few opening strains and some key lyrics and I'm easily thrown back to the anticipation and goodbye of my senior year of high school (Ben Folds Rocking the Suburbs), the general gray loneliness of the few months after I transferred colleges and landed in Provo (Patty Griffin's "Burgundy Shoes"), the calm and nausea and hope and frenzy of the first couple months back in AZ after graduation (the Weepies), a dozen sweaty concert crowds (Jimmy Eat World, the Format, Yellowcard, etc etc etc), and a half dozen sore heartaches (Radical Face, the Beatles, Rocky Votolato, Sara Bareilles, Taylor Swift, etc etc etc). 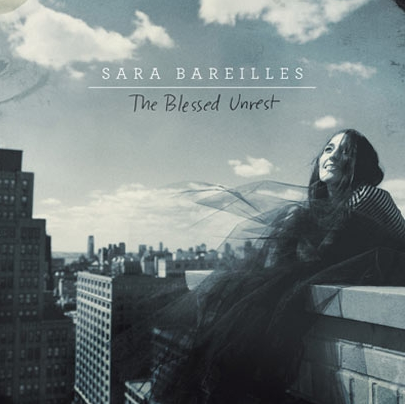 And speaking of Sara Bareilles, she's the reason for this post. Because her new album is my NOW music. Other favorite tracks include 1000 Times, Satellite Call, Brave, Manhattan, I Choose You, December, Islands....um, all of them? Anyone else rocking the Sara B lately? Or have your own "defines a specific time period of life" music? Sara B. has been my artist as of late. Her and Imagine Dragons. They speak to me and make me want to stand up and dance all at once. I'm loving that multiple people have been raging about Sara B. on my twitter feed lately! Love her and love this post! Totally rocking this album! We have too much of the same thoughts my friend, I started a post this week telling my life story through music. I'm sure it will be months in progress. But it's amazing how music defines us in better ways than we can....even when we're writers! Saraaaaaaaa why are you so great? This is precisely why I still like to make mix CDs. Then I can go back and listen to a sort of soundtrack from whenever I made it and have an hour of nostalgia. Although the flip side is that some stupid boy ruined "The Engine Driver" by the Decemberists forever for me. Alas. I'm in love with this CD too! I'm going to her concert this week in Park City. Can't wait!